Winona LaDuke is an activist for Indigenous people and their land, culture and heritage. 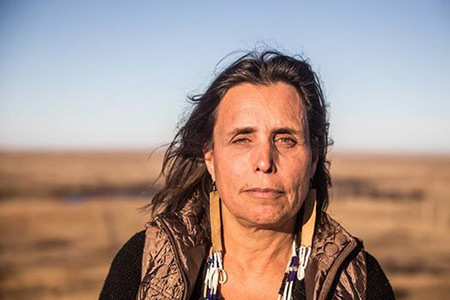 Winona LaDuke has dedicated her life to social change, working nationally and internationally on issues of justice, equity and the environment alongside indigenous communities. That’s why a UC Merced committee has selected LaDuke as the 11th recipient of the Alice and Clifford Spendlove Prize in Social Justice, Diplomacy and Tolerance. Ceremonies will be held Nov. 13 in the Dr. Lakireddy Auditorium on the UC Merced campus; details will be announced at a later date. 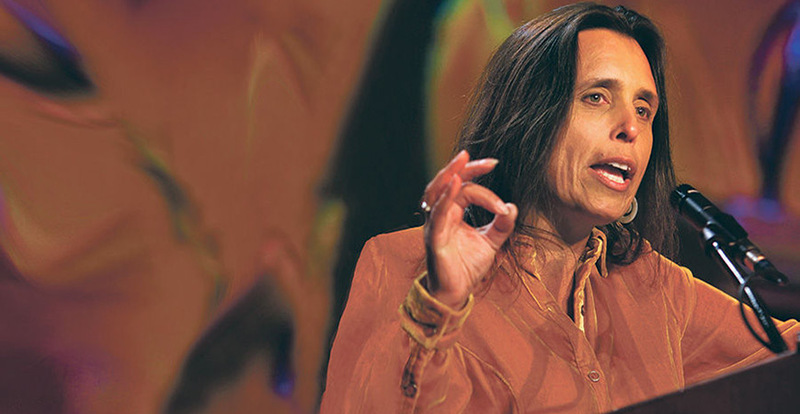 A Harvard University graduate, LaDuke is an educator, economist, environmentalist and writer. 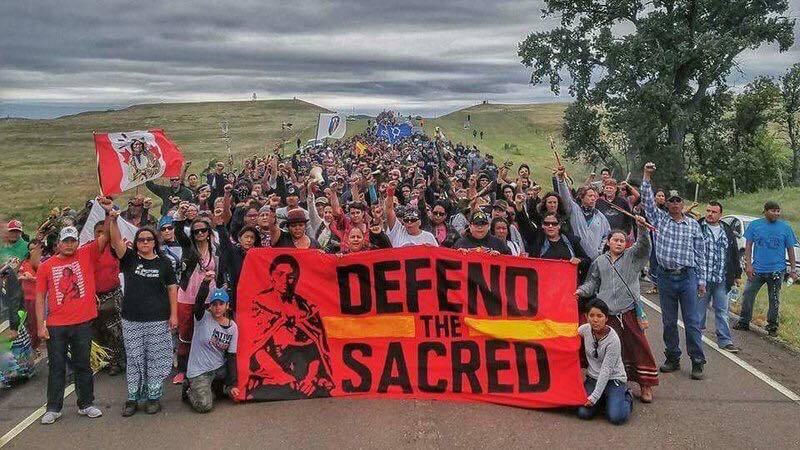 She could most recently be seen speaking on behalf of the resistance camps in North Dakota as people stood against the Dakota Access Pipeline project, trying to protect water, land and sites that are sacred to indigenous people. LaDuke is also known as a leader on the issues of cultural-based sustainable development strategies, renewable energy and sustainable food systems. Her work drew the attention of the Spendlove Prize Committee, which selects honorees from among scholars, authors, artists or other citizens who exemplify, through their work, the delivery of social justice, diplomacy and tolerance in our diverse local and global society. LaDuke is most recently known for protesting the Dakota Access Pipeline project. Campus friend Sherrie Spendlove established the prize in 2005 through a gift to the university in honor of her parents, lifelong Merced residents Alice and Clifford Spendlove. The Spendloves dedicated their lives to education and public service. Past recipients of the Spendlove Prize: Professor Anita Hill, attorney and of social policy, law and women's studies; slain Civil Rights activist Viola Gregg Liuzzo; Pulitzer Prize-winning poet Peter Balakian; California Justice Cruz Reynoso; President Jimmy Carter; Sara O’Meara and Yvonne Fedderson, who founded Childhelp USA; Jonathan D. Jansen, South Africa's first black dean; Professor Faye J. Crosby, an expert in inclusiveness, gender, race and affirmative action at UC Santa Cruz; John Y. Tateishi, who fights for reparations for Japanese internment; and Charles Ogletree, Jr., a Merced native and constitutional law scholar. School of Social Sciences, Humanities and Arts (SSHA) Dean Jill Robbins leads the Spendlove Prize Selection Committee, which includes a representative from the Spendlove family or a designee; an undergraduate student; a graduate student; a faculty member; and representatives from the UC Merced community. The Spendlove Prize includes a $10,000 award. "Ms. LaDuke knows social change comes only through the work of individuals who are passionate about putting community and justice before themselves, and I am extremely pleased to welcome her to the ranks of those we recognize for working to make the world a better place." LaDuke's work helped draw attention to the #NoDAPL protests, through which people struggled to preserve land that is considered sacred. LaDuke helped found the Indigenous Women's Network and worked with Women of All Red Nations to publicize forced sterilization of Native American women; helped recover lands for the Anishinaabe; and founded the White Earth Land Recovery Project (WELRP) in Minnesota to buy back land within the reservation that had been bought by non-natives. By 2000, the foundation had bought back 1,200 acres for the tribe. The nonprofit also works to reforest the land and revive the cultivation of traditional crops, started an Ojibwe language program and a wind energy project. LaDuke’s work in renewable energy includes completion of the White Earth Tribal Energy Plan and working toward solar and wind installations on several reservations and territories. LaDuke is also executive director of Honor the Earth, an organization she co-founded with the folk-rock duo the Indigo Girls in 1993. Honor the Earth focuses on indigenous issues and environmental justice. Her editorials and essays have been published in national and international media. In 1994, she was nominated by Time magazine as one of America's 50 most promising leaders under 40; won the Thomas Merton Award in 1996, recognized for her struggles for justice; won the Reebok Human Rights Award in 1998; was named 1998’s Woman of the Year by Ms. Magazine for her work with Honor the Earth; won the Anne Bancroft Award for Women's Leadership Fellowship; and in 2007, was inducted into the National Women's Hall of Fame.